Microsoft today said it would, as it indicated last year, end the free Windows 10 upgrade offer on July 29. Today's reiteration shouldn't have come as a surprise: Windows 10 growth, largely spurred by the free upgrade, has slowed since September 2015 and probably has reached a point of diminishing returns. In September, Windows 10's global user share as measured by metrics vendor Net Applications, grew 28% over the month prior. Since then, 10's month-over-month growth has slowed, first to 21% for October, then to 13% and 10% in November and December, before accelerating again in January 2016 to 20%. From January, it's been downhill, with growth rates for February, March and April fluctuating between 8% and 11%. Windows 10's impressive 20% month-over-month growth in January was likely fueled by new device purchases at the end of 2015, a once-a-year opportunity of gains that, even with slumping PC sales, will probably repeat even without a free upgrade offer. What's clear from the data is that the free upgrade has, first, done its job -- today Microsoft announced there were 300 million "active devices" running the OS worldwide -- and second, outlived its usefulness. The bulk of those who wanted the upgrade from Windows 7 and Windows 8.1 have taken it. Only relatively small percentages of customers will accept the offer in the future, even if it's extended, assuming Microsoft doesn't amp up the aggressive pitches to Windows 7 and Windows 8.1 users to upgrade. That does not mean there may not be a bump in growth over the next three months: Laggards will certainly take the upgrade as the deadline nears, trying to make it under the wire. But those month-over-month increases will just mask the fact that the offer has served its purpose. If Microsoft hasn't paid a price for instituting the free upgrade, its ecosystem has: Analysts from all corners have attributed some of the continued contraction of PC sales to the free deal. In other words, Microsoft has reasons, one in particular, to end the offer: Doing so will placate its OEM (original equipment manufacturers) partners, the Lenovos, Dells and HPs of the computer industry, who will have a better chance of selling new hardware with the offer abandoned. Microsoft has made it clear that it values its OEM partners: It has, for instance, made a radical change to what hardware it will support in the future, saying in January that only Windows 10, or more specifically, "the latest Windows platform at that time," will support future systems. The policy is a strong signal to OEMs that Microsoft will push new hardware as it markets 10. It also establishes a precedent if, down the line, Microsoft decides to declare Windows 10 unfit for, and thus unsupported on, older hardware. Just as importantly, Microsoft must ensure that its relationships with enterprises -- the core of its business -- remain positive. 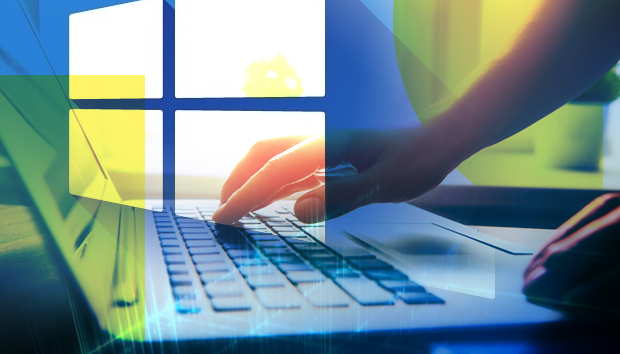 Continuing the free upgrade would, as Directions on Microsoft analyst Wes Miller pointed out in March, put the paid/not-paid contrast into even starker relief for corporate customers, who must continue to pay handsomely for Enterprise edition licenses. While anything's possible, and Microsoft could extend the free upgrade offer, even indefinitely, the data hints that doing so would not continue to dramatically boost Windows 10 adoption. With inherent negatives in making something free that others -- important others -- must pay for, Microsoft will end the deal. Windows 10's month-over-month user share growth has slowed over the last eight months, signaling that the free upgrade offer has reached a point of diminishing returns.